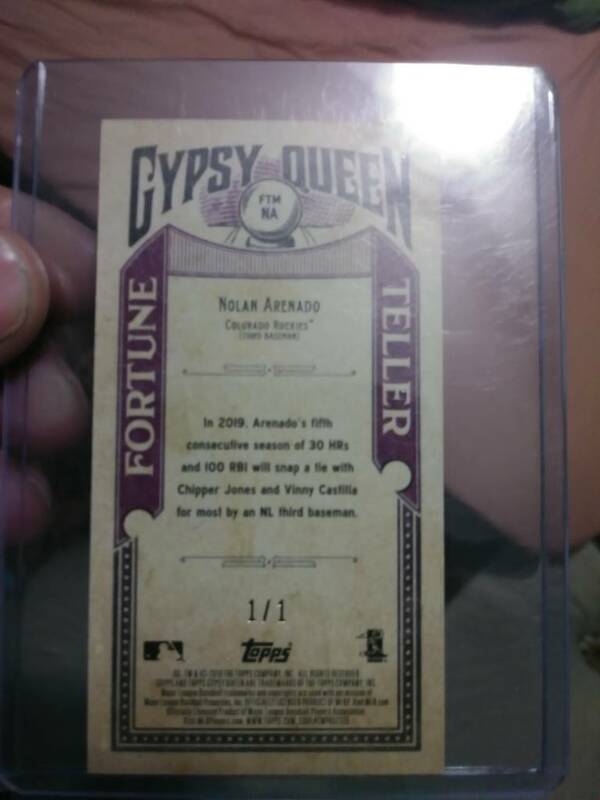 I pulled a Nolan Arenado black variation fortune teller card from a 2019 gypsey queen box. It's numbered 1/1. How would I price this card. It's as rare as it gets. Only one of its kind for this year in topps gypsey queen. Anyone know it's approximate value? It's ungraded but looks to be in perfect condition. Thank you for any feedback. It is always tricky to pinpoint a 1/1. 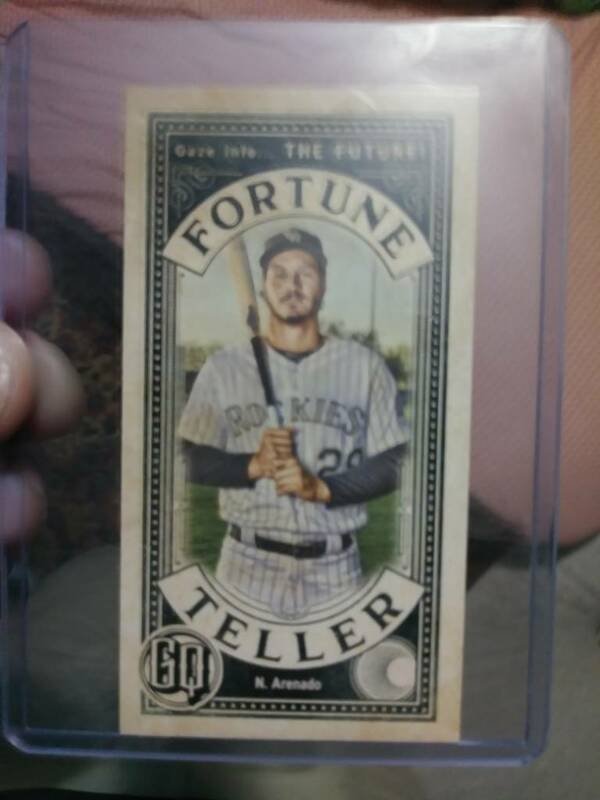 I tend to look at three things: base price of the card, other 1/1's from that product, and other 1/1's of that player. That being said, unless it is a RC or has an auto or relic, I wouldn't price it more than $150. If you can find someone to trade it to for PC stuff or for a.card that you like/value, I personally go that route. There are some people who collect rainbows and they are searching for that card. Good pull, I'm putting some thoughts together. Thank you. All input is appreciated.